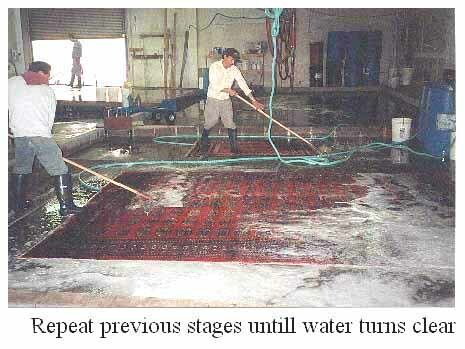 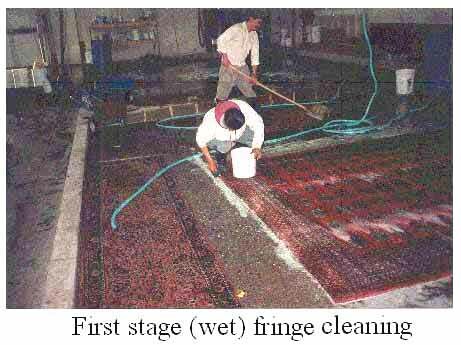 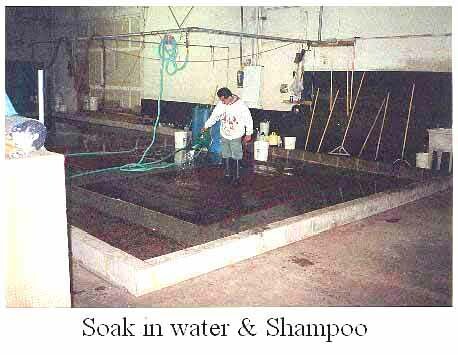 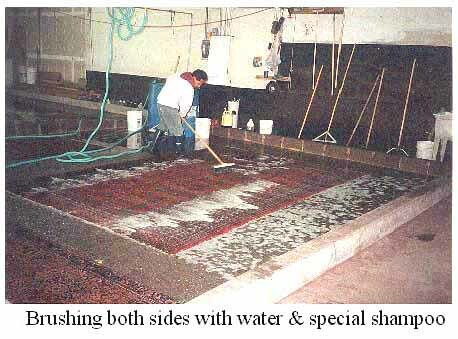 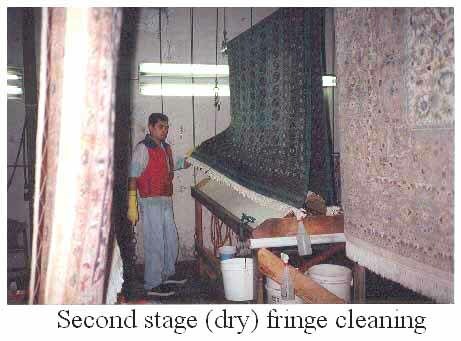 More inadvertent damage is done by people offering to wash your rugs in your home than in almost any other aspect of Oriental rug care. 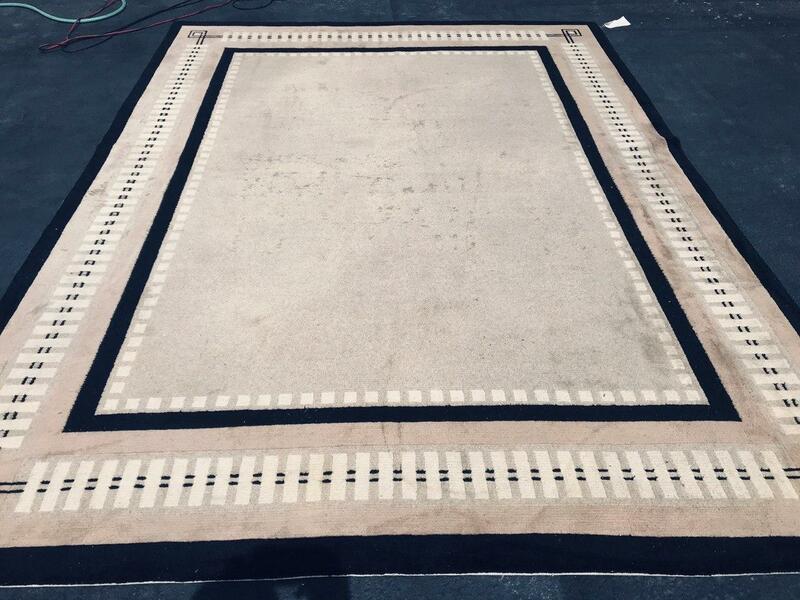 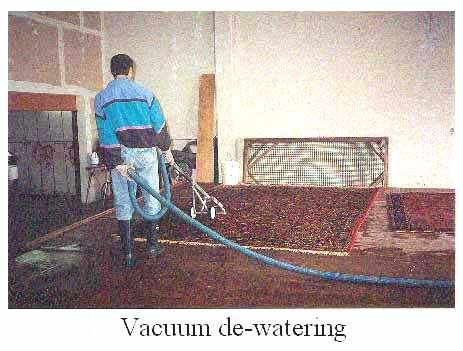 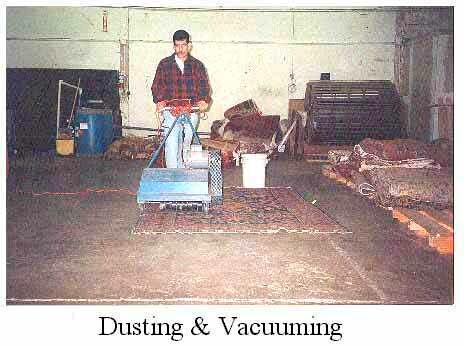 Improper cleaning, especially by people who shampoo wall to wall carpets, can DESTROY your fine Oriental rug because of the powerful chemicals and steam used in the cleaning process. 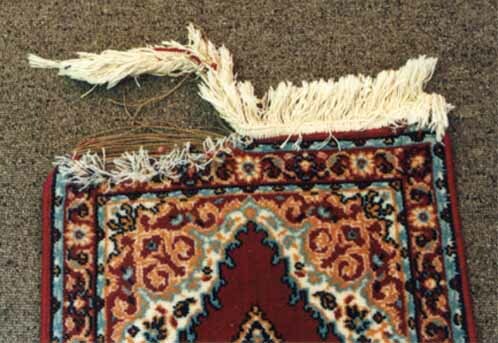 was repaired by our expert craftsman!! 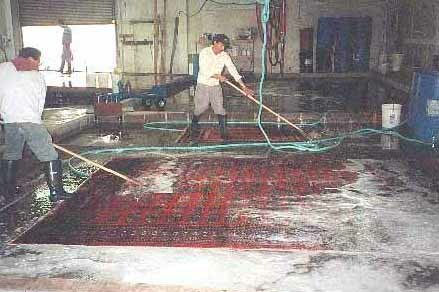 We have hand washed, air dried, blocked and stretched literally one hundred thousands of Persian & Oriental Rugs, for home-owners, collectors and galleries. 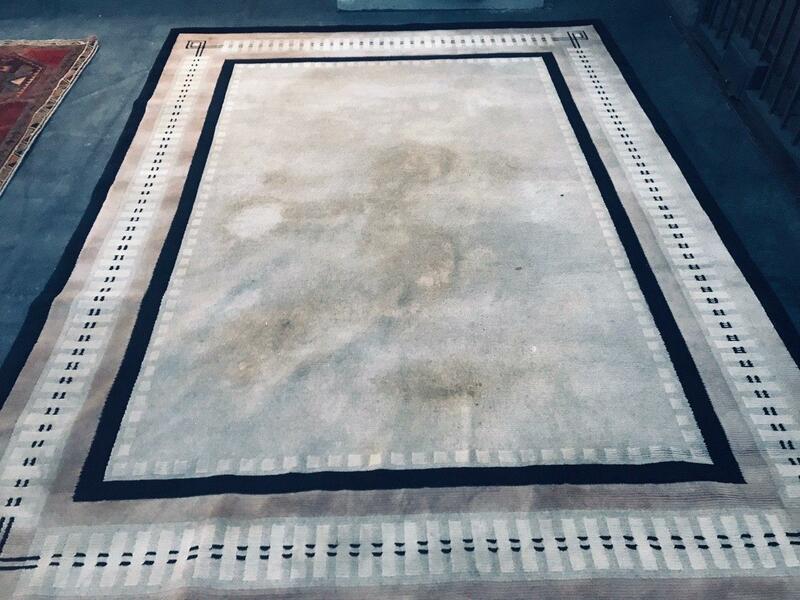 We have developed a proprietary ten-step process in order to avoid any shrinkage, bleeding colors, or physical damage to your rugs. 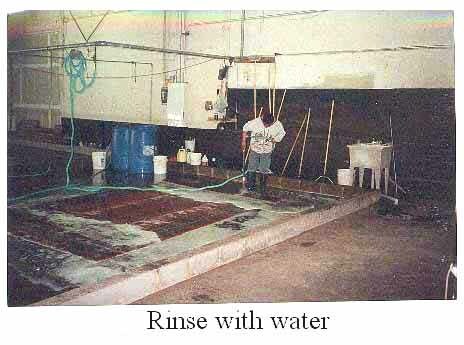 You can use our cleaning services with complete confidence.